Volunteer. Friends of Seguin Island Light Station, Maine. Here at Friends of Seguin Island Light Station we are all volunteers. Our non-profit organization is composed of a volunteer board and that board is supported by volunteer committees. If you have the ability to lend your time, we can find a place for you that will suit your abilities and interests. We would love to have you! 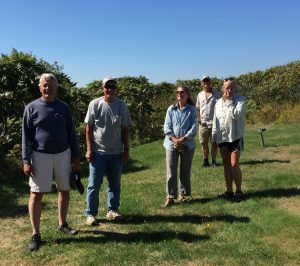 By becoming a volunteer, you become part of the family here at Friends of Seguin Island Light Station. Volunteer today and be part of preserving Maine’s heritage for today and future generations! Your information will not be shared with any third part, nor will it be used to solicit any donations. The support of your time is the very essence of our organization and we thank you for initiating the beginning of a historical relationship that will change lives for generations to come. Contact us at [email protected] or (207) 443-4808 and let us know what your interests are.